Parking is available in a hard surface layby opposite the short walkway to the monument, which has information boards, and an engraved message which seems somewhat biased to the Royalist side ... but then it was funded by the lord of the manor in 1823. The cache is a film pot approximately 12 paces from one corner of the obelisk base, gps reception in this area is poor ! On Friday June 13th, 1645 ,the opposing armies of the English Civil War were within a few hour's march of each other, the Parliamentarians around Guilsborough, and the Royalists at Market Harborough. Late that evening a probing detachment of Henry Ireton's cavalry discovered and captured a small band of the King's Lifeguard in Naseby village, surprising them while they were at supper (some sources claim they were found playing quoits in the church !) and taking a number of prisoners. 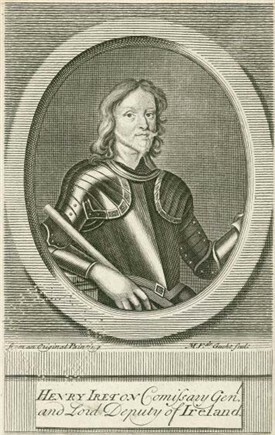 With this confirmation that the Royalists were near, and encouraged by the timely arrival of Cromwell with his cavalry, at around 3am General Fairfax commanded the Parliamentarian armies to find their way to Naseby, and rendezvous at a prominent landmark, the windmill on high ground just north of the village. The mound this obelisk is built on is the site of that windmill, and without the trees which now mask the monument the scene of some fifteen thousand soldiers of the New Model Army assembling for battle must have been a remarkable sight. Early in the morning of the next day Ireton was made commissary-general and given command of the cavalry on the left wing. By 8a.m. the army was gathered, readied, and awaiting the orders of Fairfax, who moved to here to better plan his strategy.. The battle was only a few hours away.